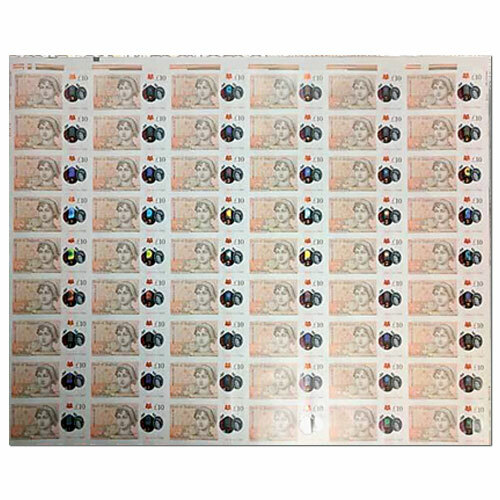 After the new Jane Austen £10 note was launched in September, Bank of England joined hands with Spink on 6th October to offer 141 of these notes with low or special serial numbers at a charity auction. The event managed to raise £269,338 for three charities named Candlelighters, Haven House Children’s Hospice and Macmillan Cancer Support. A Jane Austen £10 note with serial number AA01 000010 was sold for £7,200. An uncut sheet of 54 notes was sold for £13,500. Candlelighters works for children with cancer and their families in Yorkshire; Haven House Children’s Hospice provides free palliative and holistic care for 900 families with children facing life-threatening conditions in London; Macmillan Cancer Support helps cancer patients from the time of diagnosis through treatment and more.